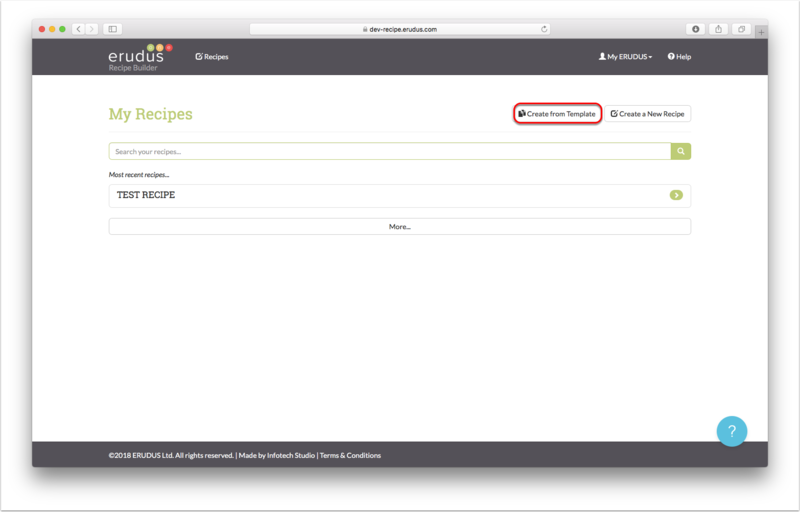 This guide shows you how to add a recipe to 'My Recipes' on the Recipe Builder tool from a shared template. 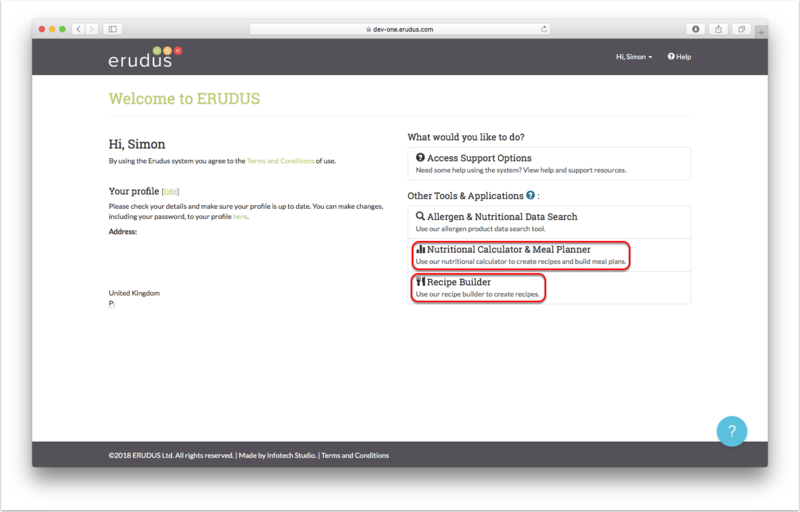 This is how you add a Recipe from Erudus to your own collection. Click the recipe builder tab on your dashboard. 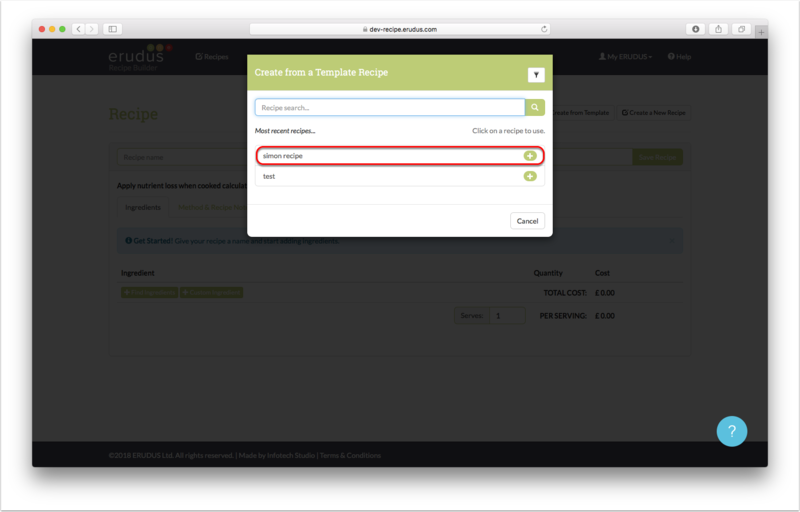 Click the 'Create from Template' button on the main screen. Select which recipe you want to use from the list. In this example, we will select 'simon recipe'. All of the ingredients will be copied over to your recipe builder. 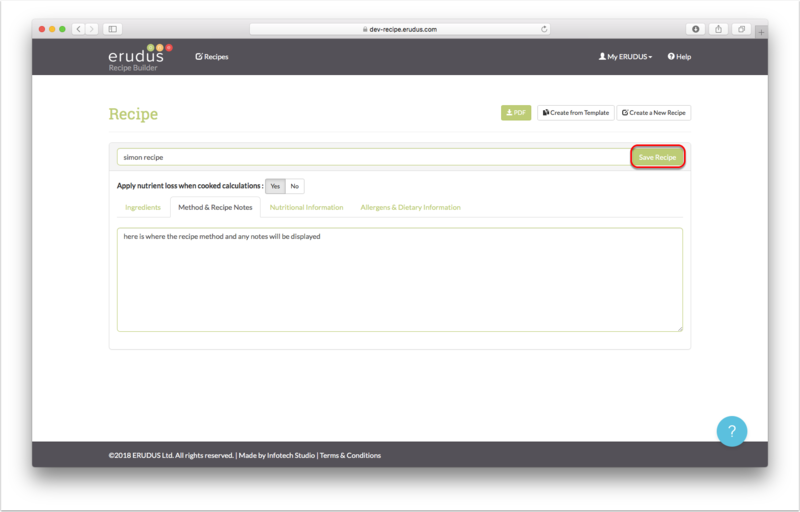 Click the 'Method & Recipe Notes' to view any method or notes which are added. 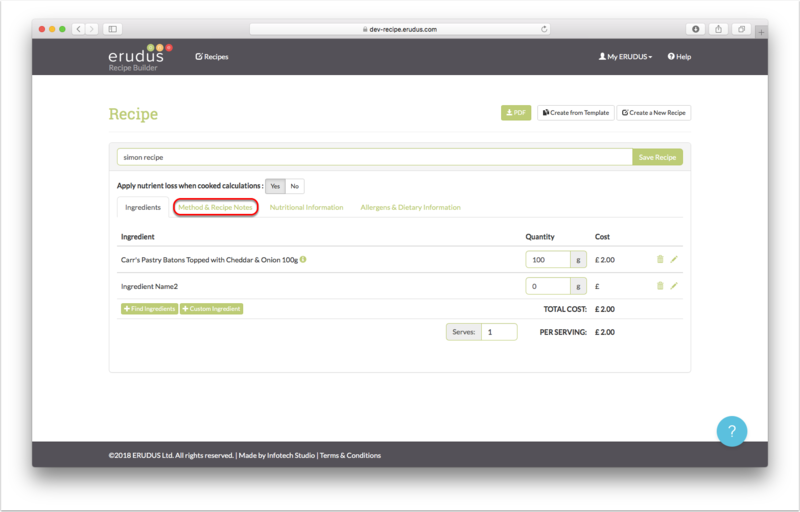 To save this recipe to your collection choose a name for this recipe in the text field then click 'Save Recipe'.